The Great Wall of China is a designated United Nations World Heritage site. It is not only the world’s largest military structure, it is also a symbol of peace, diplomacy, and a point of pride among the Chinese people. Not to mention it features heavily in the culture of the Chinese people through poems, literature and art. This picture dates from a trip taken there in August, 1981. The wall has been built in sections over the centuries. The first recognizable piece dates from about 220 B.C. and was built to connect a series fortifications together to protect against barbarian invasions from the North. Construction on the wall continued off and on until about 1644. Today the total length of the wall is about 20,000 kilometers or 12,400 miles from end to end. “Known to the Chinese as the ‘Long Wall of Ten Thousand Li’, the formidable defensive structures built to ward off invasion of the Celestial Empire by barbarians is called the Great Wall or the Wall of China by Europeans. The principle of these extraordinary fortifications goes back to the Chunqiu period (722-481 BC) and to the Warring States period (453-221 BC). The construction of certain walls can be explained by feudal conflicts, such as that built by the Wei in 408 BC to defend their kingdom against the Qin. Its vestiges, conserved in the centre of China, antedate by many years the walls built by the Kingdoms of Qin, Zhao and Yan against the northern barbarians around 300 BC. Beginning in 220 BC, Qin Shi Huang, the founder of the Empire of the Ten Thousand Generations, undertook to restore and link up the separate sections of the Great Wall which had been built in the 3rd century BC, or perhaps even earlier, and which stretched from the region of the Ordos to Manchuria. Towards the west, he had extended the fortifications, the first cohesive defence system of which significant vestiges still remain in the valley of the Huanghe all the way to Lanzhou shortly before the accession of the Han dynasty (206 BC). During their reign the Great Wall was extended even further, and under the emperor Wudi (140-87 BC) it spanned approximately 6,000 km between Dunhuang in the west and the Bohai Sea in the east. The danger of incursion along the northern Chinese border by the federated Mongols, Turks and Tunguz of the Empire of the Xiongnu, the first empire of the steppes, made a defence policy more necessary than ever. 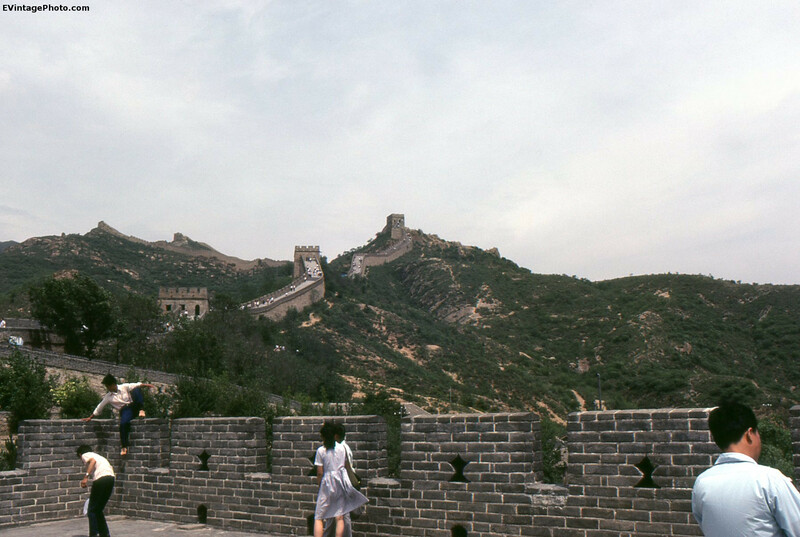 After the downfall of the Han dynasty (AD 220), the Great Wall entered its medieval phase. Construction and maintenance works were halted; China at that time enjoyed such great military power that the need for a defence policy was no longer felt.